Pure Spa Direct Blog: The DARKEST & LONGEST LASTING Spray Tan Ever! There is a beauty checklist your salon clients usually hit before a vacation or back to school. Natural on ALL Parts of the Body! Yet, I have been soooo disappointed with my spray tan experiences at the salons and spas I visited all over Long Island. The techs were friendly - but my tans were weak. All my spray tans have been barely brown and pretty much washed away after my first warm shower. VERY FRUSTRATING - especially since I suffered through 10 hours of wearing their "organic tanning mist" that felt like molasses painted to my skin - just to see 99% of the color wash down the shower drain the first day! What I really want from a spray tan is darkness, beauty and longevity - I really don't care about it's organic details (but I know many clients do)! I decided to go ahead and tan here in the training room at our offices. Now - I love our all of our sunless tanning mists - but I rarely tan here because that means one of my co-workers would need to spray me while I stood exposed in skimpy bikini disposables - and I really like them all too much to put them though that. My husband offered to come in and spray tan me, but asked that I spray tan him first. Deal!! It has been a very long time since I sprayed our solutions. He picked Moroccan Mineral Tanning Mist. He handed me the tanning solution cup filled with about 4 ounces of the solution and I gasped - it was thick like PUDDING! I remembered it was thick - but this was crazy! I doubted it would even spray!! I screwed the solution cup onto the sprayer and fired up the Apollo HVLP unit and began to see the most beautiful color coating his skin. What I LOVE so much about Moroccan is that the transfer efficiency of this mist to skin is SUPERB. All these other airbrush tanners spray watery mist that flies ALL OVER the room while a minuscule amount of mist actually coats the skin - that's why most other spray tans are weak in color and last 1-3 days. But with Moroccan Mineral Mist, it was like direct mist to skin contact, giving a concentrated delivery of product to skin. The ingredients grab the skin and dry down to a beautiful satin finish within a few minutes! After two light coats over his body he was as brown a coffee bean! He looked great! I immediately went and refilled the solution cup for my tan -- Moroccan Mineral for me too! We both showered after 8 hours. We showered again the next morning... so 2 showers within 12 of tanning - and we are both coconut shell brown!!! It is so satisfying to have such a dark tan! 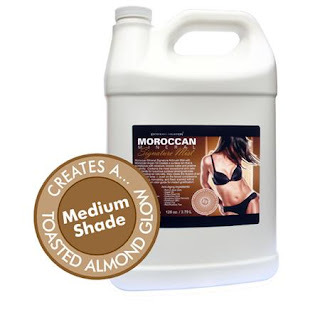 Every salon and spa should offer a formula of this caliber - for clients that want a seriously dark tan with staying power - Moroccan Mineral is it. My husband's showers are scalding hot - and he still has super dark color!! There was virtually no color change from pre -shower to post shower which is very unusual - Moroccan Mineral is a superb tanning mist! And it is also paraben free, and chocked full of anti-oxidants and anti-aging ingredients that help keep skin hydrated and looking spectacular. • Formulated as a "Rich and thick Airbrush tanning concentrate" - this product goes on STRONG and LASTS LONG! Many other tanning mists out there are thin and runny - they spray on like a smoke machine! 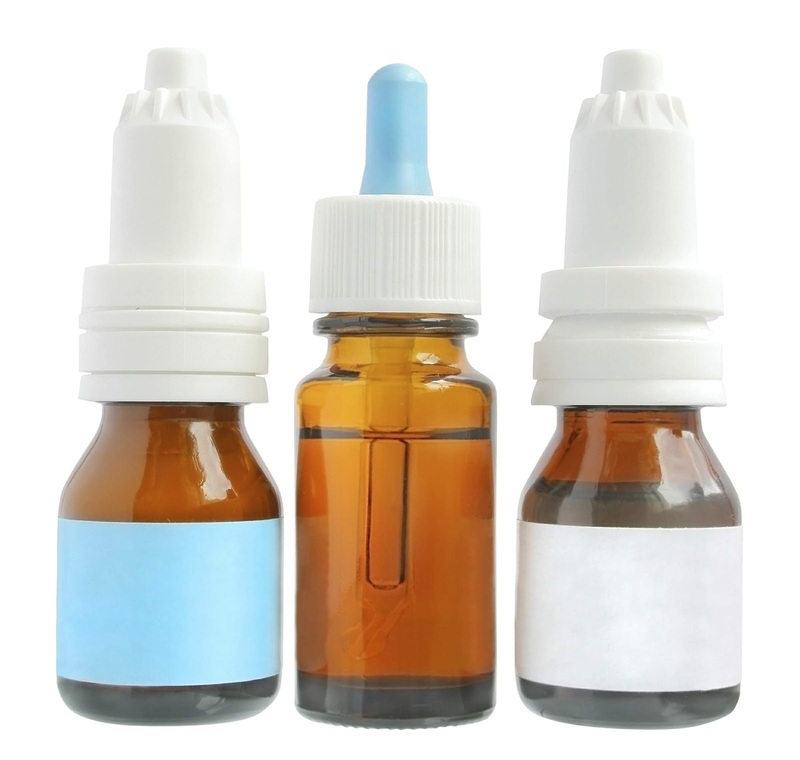 This is a controlled, concentrated mist that hits the skin with exceptional efficiency - BUT you must use a true HVLP unit to spray it! • Created with more “natural ingredients” and preservatives for ingredients conscious consumers. • Gives clients a natural looking deep dark tan. It creates the appearance of a deep, medium skin tone - (the one you wish you were born with). • Dries down quickly leaving skin feeling comfortably soft (not sticky). • Moisture based formula helps curb the dryness and dehydration typically caused by most sunless tanning products. This is THE product your clients have been asking for! The results are so amazing and so consistent - it is what brings clients back for standing appointments! Labels: airbrush liquid, airbrush tan reviews, dark tan, darkest spray tan, darkest tanning mist, longest lasting tan, mist, professional tanning spray, tan mist reviews, what is the darkest airbrush tan? Absolutely beautiful, natural color that lasts and lasts and lasts... EVERY spray tanning technician should use Moroccan Mineral for all their clients! I love how it is not sticky at all when sprayed on. Try it out! Yah. I tried this in our salon after reading your blog. It is FANTASTIC and clients really are obsessed with the dark natural color. I think the thickness really helps me to control the entire application process. Great product! Cherries!! The Super Facial Treatment! Relief From Summer Ravaged Feet! Summer Time Services, Lime Style! Are Your Massage Clients Control Freaks? Wig Dryers... Wiggle wiggle wiggle wiggle yeah!